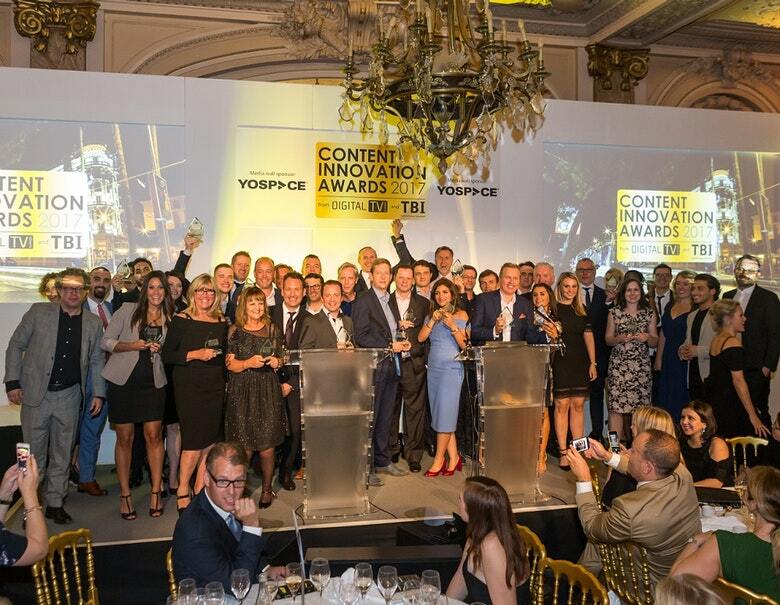 Due to exceptional demand, Digital TV Europe and TBI have extended the deadline for entries to the Content Innovation Awards 2018. The new deadline for entries is July 13. Content and technology companies seeking recognition for their achievements over the past year should get in touch before the revised deadline to ensure that their products and services are considered for this year’s shortlist. Click here for more information. This year competition features an exciting range of new categories and a new panel of distinguished judges to decide which have been the most innovative, exciting and outstanding products, services and individuals of the last year. The Content Innovation Awards, the premier event to celebrate innovation in content creation, distribution and delivery, this year features new categories including TV Brand of the Year, recognizing an outstanding brand that cuts through the clutter and matches content with its intended audience, Best Digital Original, honouring the digital original show with the biggest impact in the past year, and the people who made it, and Live Streaming Initiative of the Year, honouring an initiative that breaks new ground in bringing live-streaming to a new generation of video consumers, among others. In addition to the new line-up of categories highlighting innovative services, products and programme titles, this year’s line-up will feature a new individual award – the Contribution to Content Award, recognising an executive who has made their mark on the TV landscape, whether in the field of production, distribution or technology. Nominations can be made for our individual categories completely free of charge. 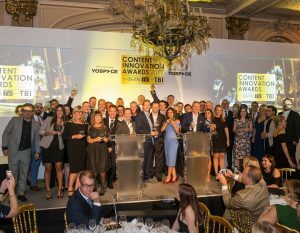 The Content Innovation Awards from Digital TV Europe and Television Business International, celebrates innovation in content, distribution and delivery and the wide-ranging achievements of the companies and individuals who bring video content to the world. The Awards this year will be presented at a spectacular Gala Dinner event with live entertainment at the Carlton Hotel’s Grand Salon in Cannes on October 14.